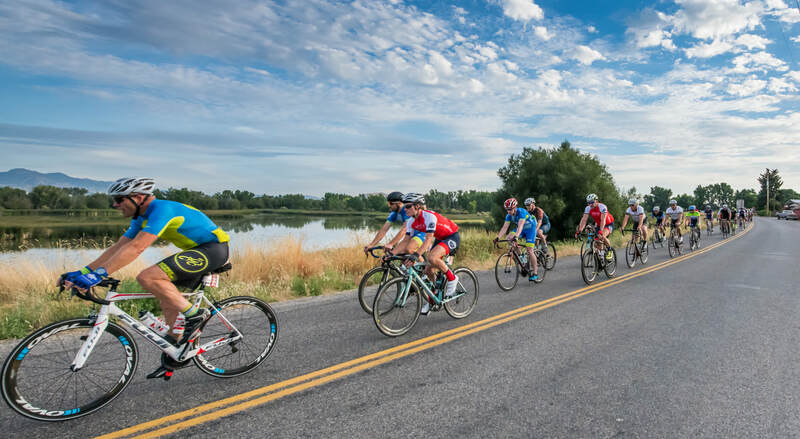 Always the 2nd Saturday in July, the UCI Cache Gran Fondo provides a mostly-flat, (except for a hill challenge in each), course through one of northern Utah's best-kept cycling secrets, Cache Valley, Utah. Many riders join us for the Century Ride, but we also have a 38-mile, 70-mile and a 50-mile option. The UCI Cache Gran Fondo has become a region favorite as ride for everyone, as well as a great training rides for LOTOJA. We offer a generous FINISH LINE celebration with shaded spectator space for your family, with podium photos, rider's meal, and a ton of prizes, awards and goodies!